On a warm September morning, I set out to photograph the Austin skyline from Lou Neff Point. I was blessed with nice clouds and light, as well as a lovely swan that kept swimming by. I think he was hoping for some food, but I'd already eaten my breakfast bar. 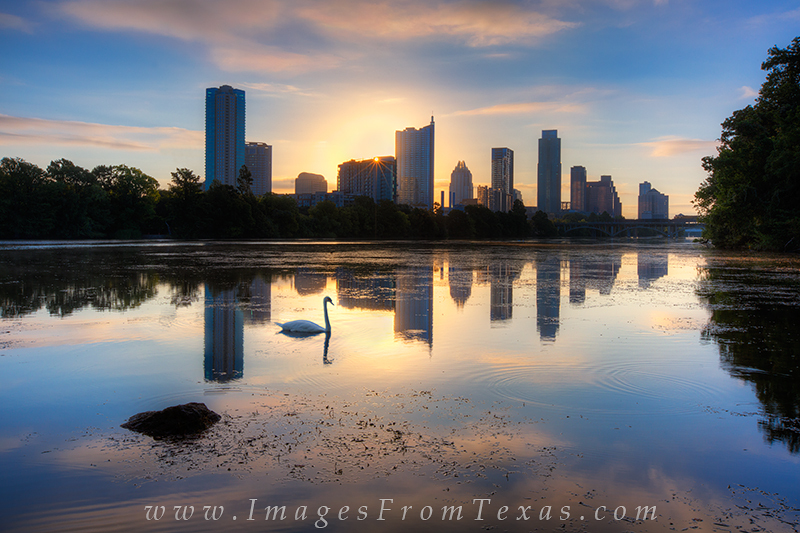 This photo looks over Lady Bird Lake and shows the cityscape as the sun's first light began to brigten the city. Photo © copyright by Rob Greebon.